This 88 oz. 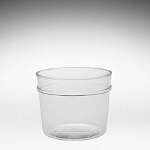 Flair Top Plastic Container is perfect for a traditional display. 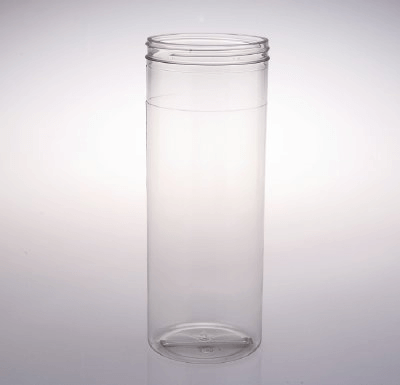 Clear plastic jar showcases your product and entices customers. 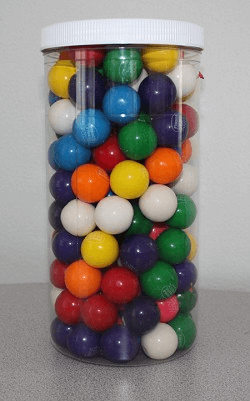 A wonderful way to display your colorful gumballs, jelly beans, chocolate gems and so much more. Round containers can be used to give gifts, exhibit candy on the counter and shelves at your retail space or desk at work. Leave the lids off, and line these candy containers along your counter and you have a fun new way to show off your classic candy sticks and the like. Useful for a variety of organization and display needs. Order yours today.